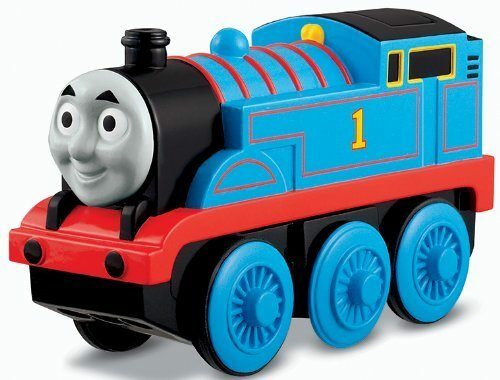 Battery-Operated Thomas The Tank Engine or Percy Just $10! Lowest Price! You are here: Home / Great Deals / Amazon Deals / Battery-Operated Thomas The Tank Engine or Percy Just $10! Lowest Price! If you have a Thomas the Train fan in your house, here’s an awesome deal for you! Head over to Amazon and get the Battery-Operated Thomas The Tank Engine or Battery-Operated Percy for only $10 (reg. $22.99). This is the lowest price we have seen and they probably won’t last long. Plus, Super Saver Shipping will be FREE with an order of $35 or more or get FREE 2-day shipping with Amazon Prime.